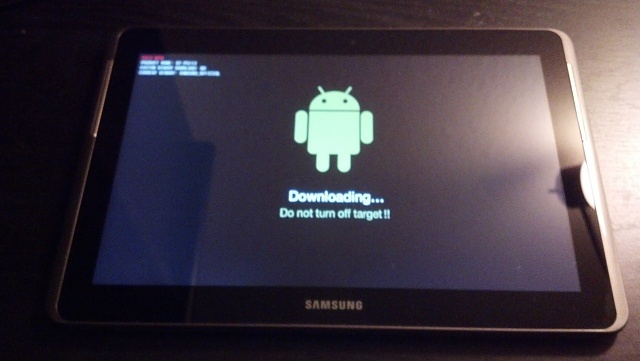 There have been 2 OTA updates since I bought a refurbished Galaxy Tab 2 10.1. 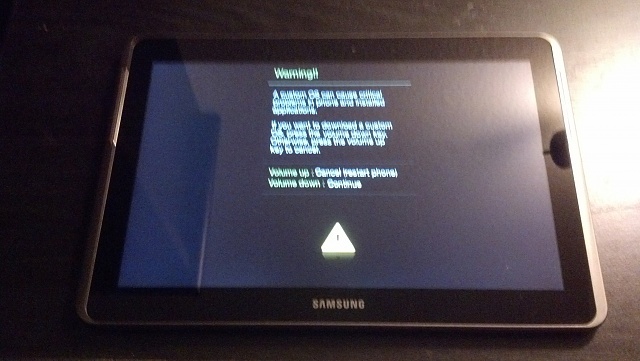 I do not root my tablets. Earlier this year I got an OTA update and the dumb thing just basically stopped functioning normally. It would not even boot. Did a LOT of searching for a way to troubleshoot the situation (this forum and others have been VERY helpful in the past). I finally was able to get some help from some people on mIRC. They taught me to use ODIN to fix the problem and it finally started working again. Not so lucky the past few days. The most recent OTA update worked fine for maybe a day or two. 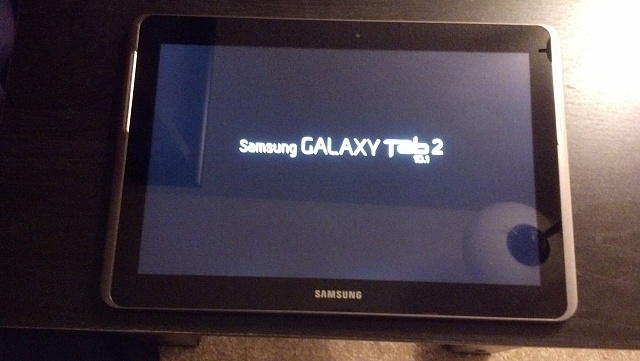 I usually keep the GTab2 on my nightstand and use it as an alarm clock. Woke me up a little early but it was just rebooting itself. Said it was applying upgrades or updates to 7 apps. I figured it would do that and shut up so I could get a little more sleep. Well it continued the reboot sequence over and over the whole time I got ready for work. I figured if I left it plugged in and checked it when I came back from work it would have figured itself out. No such luck. Apparently it had been rebooting over and over again all day while I was at work. I tried Samsung customer support (online). I tried ODIN with the new files (It says everything is 'PASS'). Now it just won't boot fully at all. I can consistently get it to the custom install screen if I want to. But I can not get to the recovery screen at all. No combination of power-up volume-down volume works except to get to the custom install screen. Any suggestions are welcome. Welcome to posting in the forums! 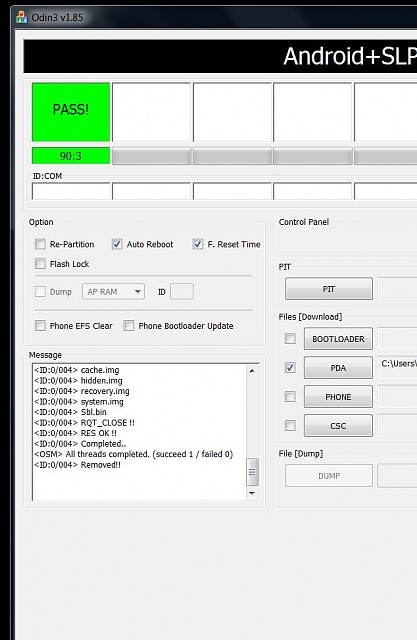 It sounds like you may be best served by flashing the stock ROM back to the unit, if possible, and then being very very selective in what updates are allowed. The unit will not boot up normally at all? Wow, thank you for that fast reply! Right now the only thing it will do is hang on the battery charge animation if it is plugged into the wall charger (correct charger also). If I plug it into my laptop it sounds like the USB is trying to connect and failing. 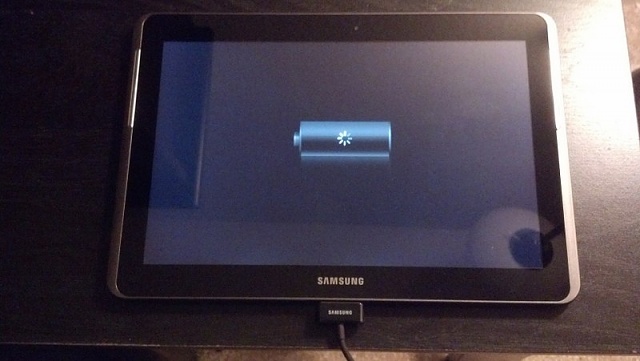 I can unplug it from everything and get the first white Samsung Galaxy Tab 2 logo (the one before the animated Samsung logo). But it will just hang there unless I press the buttons to go to the custom OS install screen (the only one I can get to at the moment). From that screen have you done a wipe data/factory reset? Try that and then reboot the tablet. I did earlier this year when I could actually GET to that screen. No such luck this time. I am following the instructions of the video right now so I will try to get to that screen when it finishes. The problem is that when I tried this a couple days ago it said that it completed successfully but then would still not boot correctly. Keeping my fingers crossed this time. Strange. Have you tried downloading the image again? You could have gotten a bad download but if that was the case I wouldn't think odin would pass the md5 check. Also I would try a different version of odin. My note 10.1 only seems to like odin3 v3.07. I know you aren't on a note 10.1 but it would be worth a shot since it isn't working now. Thanks for the tip but I tried v3.07 and it failed. Hi my Samsung tablet doesn't seem to be charging properly there's a picture of the charger bitty and the battery goes half way and foes off again and dose the same again and it's a samsung charger I'm using. How do I get it charged? Best Software to Import Photos to Galaxy S4?